Anyway, because I am getting so old…ahem…so busy…I decided I need to get even more organized with my blog. Up until now, I have been somewhat organized. I do use a planner and my Power Hour Checklist and both of those have helped me a great deal. However, with fall comes extra activities and meetings and volunteer opportunities and playdates, etc. I’m sure you know how it is! I realized I need to be even more productive with my time if I want my business to succeed without interfering with my family time. This may or may not work for you , depending on your personality type, but I say you give it a try for a month and see how it works out for you. I have a feeling you’ll love it! Grab your FREE Editorial Calendar right here and start planning! There are so many Editorial Calendars out there – you could search them all day long. I decided I wanted mine to be pretty, simple and effective. It needed to do the job and not overwhelm me. Sometimes I get into planning perfection mode and then end up never starting because my printable will never be quite up to par. Anyone else a Type A like me? If you are new to using an Editorial Calendar, you may not understand how it will help you with your blog organization. This is a way to plan out your posts for the month, so you can see what is upcoming, what you need to work on, when you need to publish, etc. You can also theme y our months very easily when you have all your posts planned out. This doesn’t mean you need to write out your posts a month ahead of time, but it does give you that freedom to start earlier because you know what is coming. You’ll notice that there is a space up top to label the month you are planning. I then use the blank lines to brainstorm any ideas floating in my head for the month. Not all of these ideas make it into my calendar, but I am able to see which ideas flow together and which posts may need to wait for next month. Once I have my brainstorm posts written down, I am able to plug them into the month, based on my schedule and how they work together. I aim to have about seventy percent of my posts be evergreen content, or content that people will use all year. I take my readers into consideration, as well as the time of year. I can see ahead of time if there is a holiday coming up that I could write a post about, or if I know most of my readers are moms juggling a full schedule like me, I may decide to create a post about simple meal planning using your crock pot. The larger benefit is that I am able to pre-plan and coordinate an entire month of posts, without feeling like I am losing my mind. You can also use this calendar to prepare the steps involved with each post. Once you have your post idea written in the date, you can work backwards and schedule the day you want to take and edit pictures, create a product, send an email….All of this can go on your calendar. Make sure you set a realistic goal of how many posts you can write each week. There is no point in having a beautifully filled out calendar if you fall short each month. If your schedule allows only one post a week, stick with that and be consistent. Write it down on the same day each week and follow the routine. Do you use an Editorial Calendar yourself? Has it made a difference for you? If you haven’t used one, do you think it will help you? DOWNLOAD YOUR EDITORIAL CALENDAR IN OUR BLOGGERS TOOLKIT, A RESOURCE LIBRARY FULL OF TOOLS! I love that you created a downloadable editorial calendar. I’m not going to lie, I used to be amazing with keeping track of prepping posts based on my calendar, and then I would reschedule certain ones, and then my planning fell apart. Love this post for organization! It’s always pays to be organised and using an editorial calendar is essential. How far ahead do you usually plan your posts? I NEEDED this desperately! I have been all over the place and forgetful! Need a good calendar! This is exactly what I needed to find today. I think one of the biggest challenges for me is that I’m not organising my thoughts for my blog. I cannot wait to start using this especially since I decided to challenge myself and take part in blogtober. I use my editorial calendar within my Day Designer planner. I brainstorm posts in the back and plug them into the monthly spread. My planner is already color coded so it definitely helps me stay on track! Fall is busy for me too. Thank you so much for such a handy printable. I find myself lacking in the organization of my blogging but now that I just launched my second blog an editorial calendar is a must. This is such a busy time with the holidays around the corner I think planning for our blogs is key. Going to print this out today and use it. 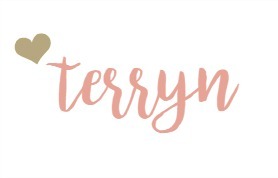 I love your organization skills Terryn! Great idea! I’m going to download right now and see if it works for me. I’m always in need of a little more organization in my life. I’m thrilled to have discovered you site. So much helpful information. This will help me get my site organized and plan my content in advance. Oh my gosh! You’re so organized! I love it! I need a sprinkle or two of your organization in me! Definitely gonna try to use this to keep things fresh and organized! Thanks! I have something similar on my computer that I NEVER look at. I am terrible about *making* myself write on a schedule. I randomly get inspired and knock out a post start to finish in one morning and then nothing for weeks sometimes. I have probably 20 post drafts that never got completely hashed out. I have about a month of kids sports-free time coming up and I really hope to take advantage of it! OO! I am very excited for this! I needed this last month when I was trying to plan out the rest of the year. However, I think converting it over to this form will work much better! Thank you ma’am!! Thanks for the download! I need to get organized bad! I have a bunch of scribbles in a notebook and its not efficient. I recently started using an editorial calendar and it’s so helpful! It keeps me so much more organized and then I feel more relaxed! I think I’ll start using this once my .com launches! I definitely need this! I use the WordPress Editorial calendar but I get lost sometimes on what I’m supposed to be working on when I’m offline and away from the computer. So having a paper version is a good idea. Perfect! I’m in desperate need of a good blogging calendar, Thanks. I’m going to be honest – I’ve never been one to schedule my posts in advance. I usually blog as ideas come to me but I’ve been reading so many posts lately that sing the praises of scheduling posts that I may have to give it a try. Thanks for the free planner! Just did all my planning on my Oct through Dec calendars and I am so excited. I feel very clear on my goals and “to-achieves”. Looking forward to a great October. Cheers! I love your tips to work backwards and stay realistic. I’m definitely interested in setting up an editorial calendar because I have so many ideas, it gets overwhelming! I have a rough spreadsheet I currently use. So this is perfect. Thanks Terryn!!! I need this! It’s so funny, as a teacher, I plan out every minute for all 180 days, but as a blogger, I do not plan nearly enough! Sometimes I am just struck by inspiration, but I think that sticking to plan will be very helpful for myself and provide consistency for my readers! Every single month I say I will make an editorial calendar, but I keep putting it off. This post has convinced me to finally make one! Definitely downloading! I’ve been using my google calendar on my phone for the past month- very hard to read- but it’s definitely helped me get more done and be more productive 🙂 can’t wait to use this hard copy! This is awesome! I also read your power hour checklist and that was incredibly helpful! I’m looking forward to implementing that starting tomorrow. I need to be more organized and use my time more efficiently. I’m downloading the calendar and going to give it a try. I am right there with you Terryn! I have a basic editorial calendar that I use in exactly the same way and it is SO helpful in planning ahead so I don’t go crazy. I love how organized you are! I’ve been working to get more organized lately. I started my own editorial calendar and love how I’m able to see exactly where I want my month to go. It keeps the stress level down, for sure! I’ll have to add in photo shoots and newsletters to this, too. Thanks for the advice! I definitely need to be more organized. Love this editorial calendar… definitely going to use it! This is definitely something I need to try out. Right now I just keep notes on my phone and I am a hot mess! It is driving me crazy! I pinned this for later as I am getting more organized with the blog. I am planning a post soon and may link back to this! What a great printable – you are so helpful! I just got one of my clients to use one and it helped so much. Now we communicate better and I know when to ask them about new posts. It is amazing what one calander can do. Va’s like me use them to to plan out what we are doing for the day too. My blogging has improved so much since I added an editorial calendar! I don’t know WHY I continue to not have an editorial calendar. I am much more organized in my business, but when it comes to my blog, I just write whatever I want to write when I want to…not good. Thanks for sharing, I’m gonna need this! I’m trying to get more organized and use an editorial calendar better. Thanks for the freebie! Hi Terryn, what a great editorial calendar. I have been trying to use one and schedule my blog/social media for a more organized life! Ah! I love this! I’ve been looking for a template or something, this is perfect! Thanks so much! I’ve been meaning to start planning things out better! This is so helpful Terryn, I have been looking for an easy and simple editorial calendar for so long! Thank you so much for sharing this! It will be such a time and live saver!! Perfect ! Thank you for this awesome calendar ! I love this! I’m trying so hard to get organized and my editorial calendar has definitely helped. Need to check yours out!! Thank you!!! I was JUST telling my husband I needed something like this! Thanks for sharing yours! I so need this! I have lists all over the place of blogging topics and then I never can find them! Editorial calendars are so important! Idk where I’d be without mine! Ok, I totally need to do this! I’ve been feeling unorganized lately. Great post. I love this! I have a running list of blog ideas and I calendar I sometimes use, but I don’t really plan out my posts unless they’re sponsored. Great ideas, I am needing to get more organized! Thanks for sharing this! I’m so happy I found your blog. You have so many posts that are relevant to me… Really need to get organized lol. I TRULY keep meaning to do this! For the printable!! I keep saying I am going to do this – pinning to remember to sit down and get more organized! 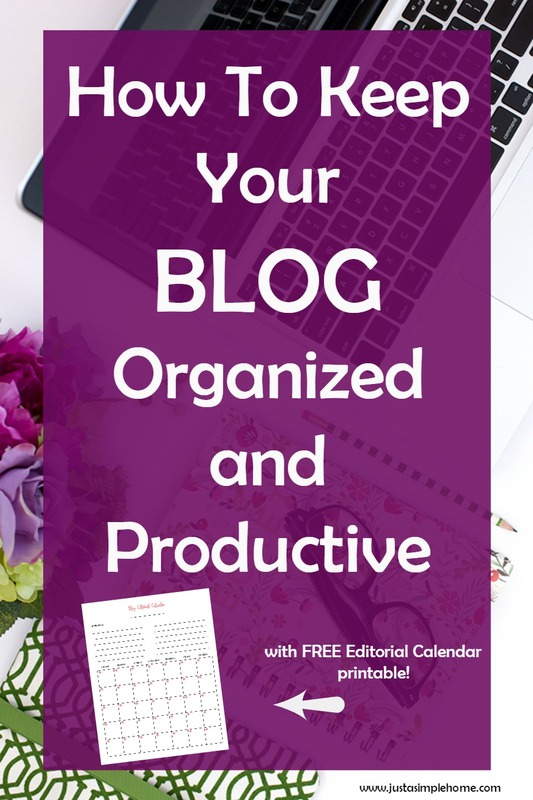 Great ideas for organization and love that you created tools for all of us bloggers! Thanks girl! Thanks for sharing your method. I’m always curious about how other bloggers make the nuts and bolts work. I started out with a paper calendar, but I’ve moved to a spreadsheet now. I like though, how you have a brainstorming spot up at the top. That’s how I do my meal planning, and I hadn’t thought to format my blogging calendar the same way. Way to go! Thank you so much for this! I know I need one but I haven’t had the time to sit down and design an editorial calendar, so I’ve just been winging it from week to week!!! Super excited to use this! I definitely am in need of this. Thank you. 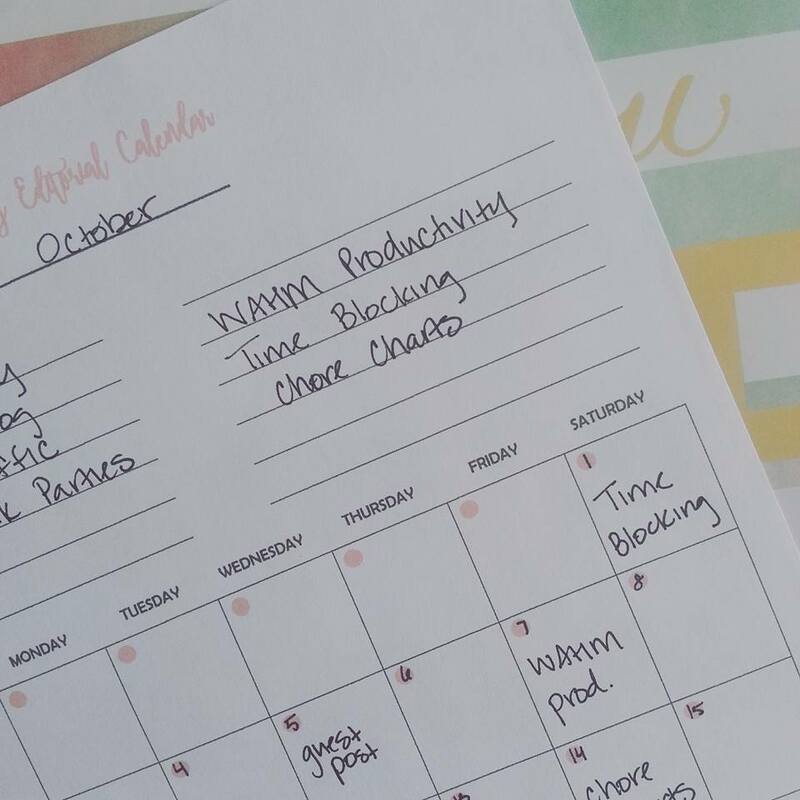 Yes, every blogger definitely needs some sort of editorial calendar to stay organized. Thanks for the printable!